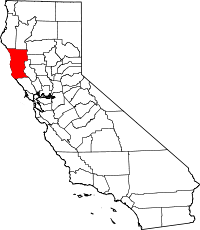 Records of birth, death and marriage in Mendocino County, California, can be obtained through the recorder division, online here . The recorder maintains vital records dating back to Mendocino County's formation, and for security, maintains off-site microfilm copies of all documents. Copies of vital records can be obtained for a fee by submitting an application form, available online. The indexes of birth, death and marriage records are open to the general public to search during regular business hours. In-person document requests can be processed while you wait (valid photo identification is required), and mail order copies are normally mailed within 24 hours. For an additional fee, documents can be ordered online through the VitalCheck Network.